If your student loves going to the park then why not add in a bit of education to the mix. Gather what you need for a picnic, then, before getting to the park, visit a local bookstore and buy two copies of a book your student chooses. Once you are at the park and reading, take a break after every chapter to discuss what is going to happen with the story and the characters. This is a great way to encourage a positive connection with reading and to identify any reading challenges they are experiencing. 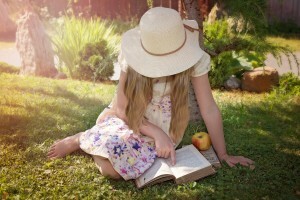 If you know that writing is a struggle for your child, consider adding writing to your picnic. If you are done with reading, ask your student to write a short story about their favorite character to explain their backstory or a story about an adventure which wasn’t mentioned in the book. Again, this is a great way to identify any challenges with spelling, sentence structure, and grammar. If you notice your student is struggling with reading or writing, tutoring can help. Speak with The Tutoring Center, Long Beach at 562-653-4380 to book your free initial diagnostic assessment and to learn more about how tutoring can help your student improve their grades and their self-esteem.